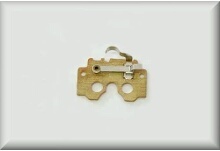 Any questions about these Object either its Spare Parts ? 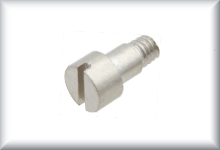 Bow coupling, burnished, for CCS/ES/MS/TP 800, price per piece. 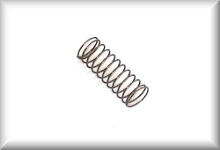 Spring for drag switch, for MS 800, CCS 800, RE 800, DT 800, price per piece. 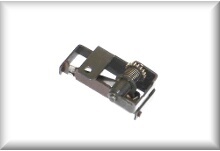 Switching slide-spring, suitable for relay of the 800 series of Märklin, price per piece. 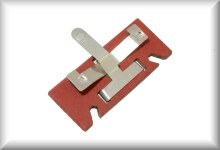 Slide shift spring, suitable for Märklin 800 series relays, price per item. 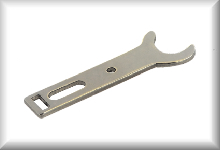 Sheet-metal holder for restoring spring at the reversing relay (tin plate), price per piece. 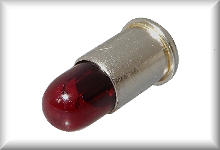 Plug bulb (red), suitable for all ST and DT 800, several signals, price per piece. 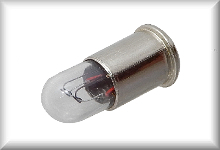 Plug bulb (white), suitable for 3004 till 3015, 3017 till 3019, the beginnings of 3021, 3023 till 3025, price per piece. 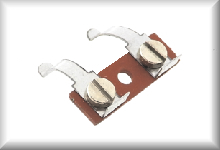 Reversing switch for overhead/lower line, suitable for 3015, 30159, 36159, price per piece. 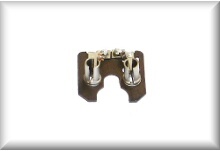 Switch for overhead line / track line, suitable for CCS / ST / DL / DT 800/3025, price per item. 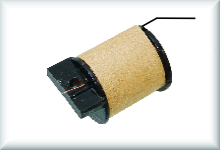 Rocker for brushes, suitable for ST/DL/DT 800/3025, compressing spring fixed by soldering, price per piece. 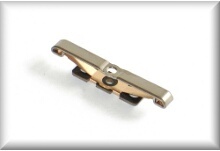 Brush bridge, suitable for late Version of CCS 800 and 3015, 30159, 36159, price per item. 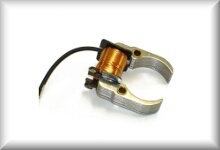 Drag switch, for CCS 800 1. till 4. version, price per piece. 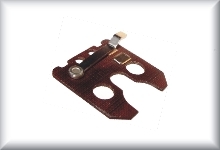 Contact plate for lamps, suitable for CCS 800, price per piece. 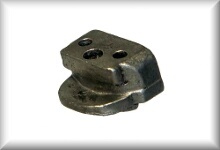 Holder for lamp contact plate, price per item. 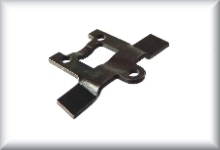 Lamp frame, suitable for CCS 800, 3015 and 30159, price per piece. 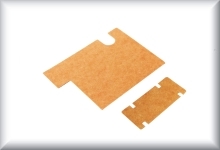 Windows material Cellon, price per set. 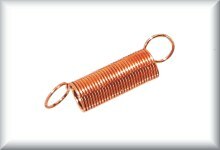 Insulator used at roofs, Price per Pair. 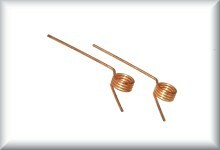 Magnetic coil for switching relay (in exchange only EUR 25,00), price per item. 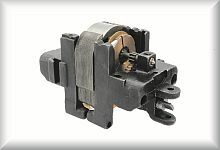 Solenoid for reversing relay (at change only EUR 25,00), price per piece. 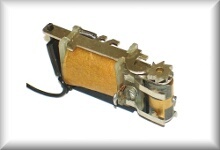 Drum for reversing relay, large, price per piece. 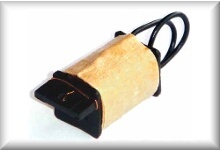 Drum for reversing relay, small, price per piece. 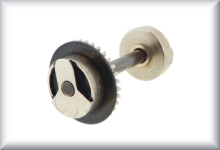 Gear for small shift drum, price per piece. 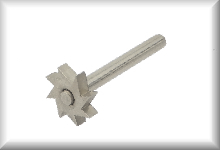 Gear for large shift drum, price per piece. 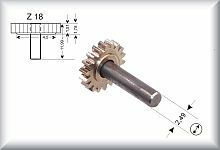 Gear including shaft for large shift drum, price per piece. 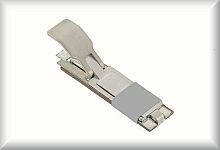 Slide switch suitable for series 800 relays from Märklin, price per item. 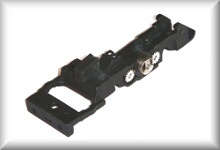 Slide switch, suitable for series 800 relays from Märklin, price per item. 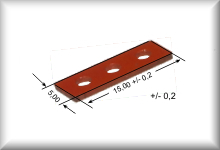 Contact direction for reversing relay, price per item. 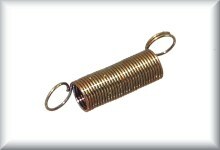 Perdinax used at reversing relay, price per item. 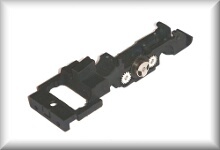 Change lever for forward and backward switching, suitable for CCS 800 1. to 5. version, price per piece. 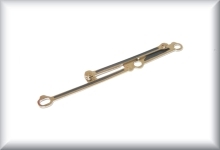 Change lever for aerial or lower conduit, suitable for CCS 800 and 3015, price per piece. Chassis for CCS 800, 1.2. and 3. version, small sand boxes, guide for mushroom slider, black, made from zinc cast, price per piece. 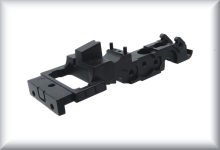 Chassis for CCS 800, 1st to 3rd version, small sandboxes, guide groove for mushroom slider, black, zinc die casting, not from our production. Price per item. 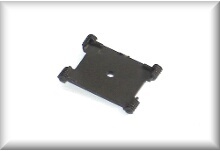 Chassis for CCS 800, 4. version, large sand boxes, guide for mushroom slider, black, made from zinc cast, price per piece. 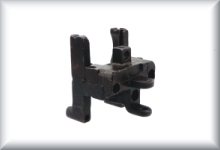 Chassis for CCS 800, 4th version, large sandpit, guide groove for mushroom slider, black, zinc die casting, not from our production, price per item. 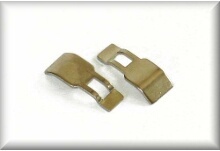 Weights for CCS 800, 1. till 4. version from 1947 to 1950 according to Mikado, price per piece. 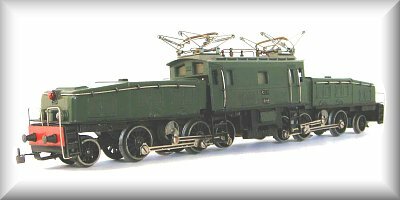 Weight for CCS 800, 5. version from 1951 till 1952 according to Mikado, price per piece. 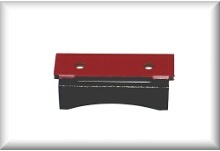 First running/trailing axle carrier without spoked wheel set, zinc cast iron, suitable for MS 800, CCS 800, ES 800, price per piece. 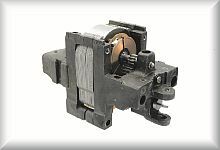 Complete engine, but without rocker for brushes and without stairs and without top/lower switch, for CCS 800, 1. till 4. version, only in exchange!, slow reduction, true to original reproduction, price per piece. 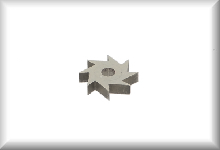 Gear case for late CCS 800 and 3015, price per pair. 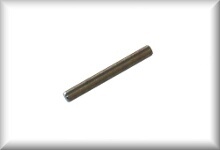 Axle, diameter 2,6 mm, length 21,7 mm, price per piece. 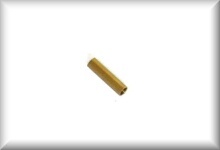 Axle, diameter 2,5 mm, length 21,7 mm, price per piece. 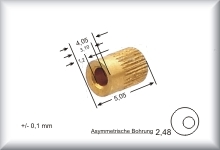 Repairing sleeve for chassis, yellow brass, lenght 12,2 mm, width 2,95 mm, inside measurement 2,49 mm, drill out only - not press out, price per piece. 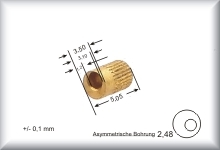 Repairing sleeve for chassis, yellow brass, lenght 10,00 mm, width 2,95 mm, inside measurement 2,49 mm, drill out only - not press out, price per piece. 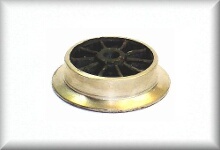 Bushing for drive wheel, made of brass asymmetrical groove, suitable for MS 800 or CCS 800 1.-4. Version, price per piece. 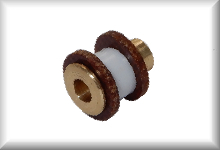 Bushings, for helical cardan drive, price per pair. 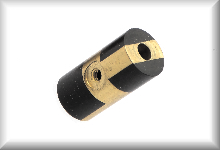 Bearing knurled, asymmetrical bore, 1st bushing to anchor for gear 00.451-3-0 CCS 800 version 1 to version 4. 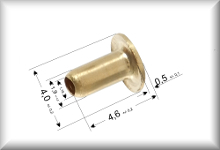 Bearing knurled, asymmetrical bore, 2nd sleeve from anchor, to fit cardan, only CCS 800 version 1 to version 4. 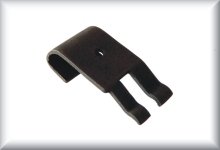 Sheet-metal holder for smooth axle, black, burnished, for CCS 800 1. to 4. version, price per piece. 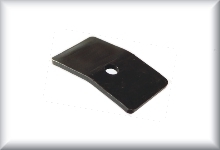 Sheet-metal holder for drive wheel set, black, burnished, for CCS 800 1. to 4. version, price per piece. 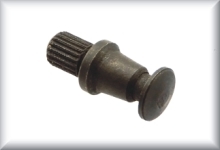 Sheet-metal holder for cardan-shaft (middle gear), black, burnished, for CCS 800 1. to 4. version, price per piece. 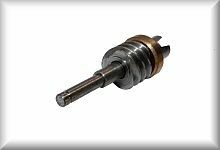 3 rear wheel drive sets, complete with gear and shafts, suitable for CCS 800 1st to 5th variants, including driven shaft drive axle, without blind shaft, zinc die casting, nickel-plated without copper, wide version, all-inclusive price. 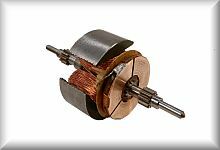 3 drive wheel sets, not backed-off, suitable for CCS 800 and 3015, incl. 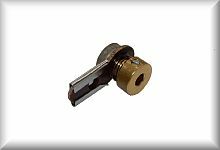 driving axle part with no drift, without loose axle, zinc cast iron nickel-plated without copper, broad version, complete price. wheel set, incl. frist running axle and smooth driving axle, suitable for late CCS 800 and 3015, like the photo, zinc cast iron nickel-plated, price per set. 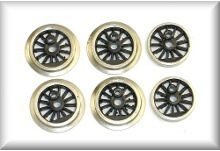 Spoked wheel set, for first running/trailer axle, black, zinc cast iron grey, suitable for CCS 800, price per piece. 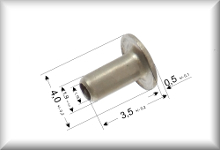 Spoked wheel set, for first running/trailer axle, black, zinc cast iron nickel-plated, suitable for CCS 800, price per piece. 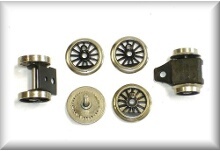 First running/trailing axle, complete with spoked wheel set, black, zinc cast iron nickel-plated, suitable for CCS 800 and early 3015, price per piece. 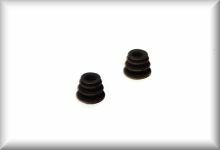 First running/trailing axle, complete with spoked wheel set, black, Zinc cast iron nickel-plated, suitable for CS 800, price per piece. 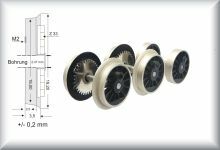 First running/trailing axle, complete with spoked wheel set and coupling, black, zinc-plated nickel-plated, suitable for CCS 800 and 3015 Price per item. 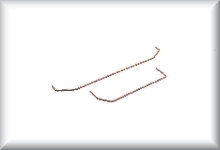 Slider suitable for waggon lightning of 3015, 3047, 4018, price per piece. 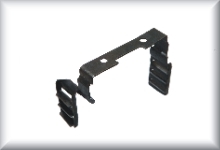 Short ski slider, for 1953 till 1959, for 3027, G 800, GN 800, CCS 800, price per piece. 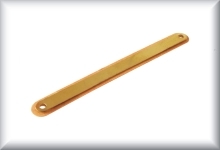 Short ski slider with special mechanics, price per pair. 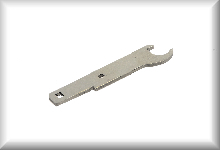 Mushroom slider, for CCS 800 3. and 4. version, price per piece. 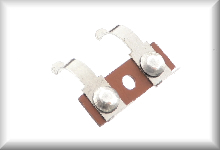 Mushroom slider for CCS 800 1. and 2. version, price per piece. 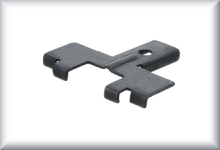 Short tongue slider for CCS 3. version and G 800, complete, price per piece. Spring plate, price per piece. 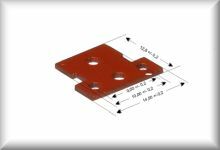 Base plate, price per piece. 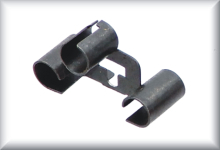 Tongue slider, 2x sliding contact, price per pair. 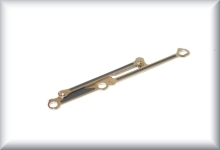 Current collector (pantograph) with copper collector-shoe gear, according to Mikado 5.1, price per piece. 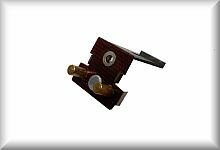 Current collector (pantograph), according to Mikado 6, price per piece. 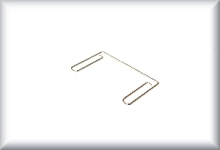 Pantograph, according to Mikado 4.0, price per piece. 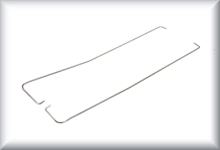 Pantograph, according to Mikado type 4.1, price per piece. 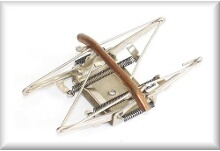 Collector-shoe gear, suitable for current collector (pantograph), according to Mikado type 5.1, price per piece. 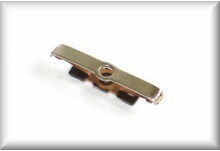 Collector-shoe gear, suitable for pantograph, according to Mikado type 4.0, price per item. 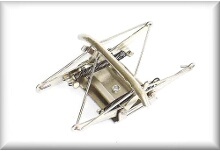 Collector-shoe gear, suitable for pantograph, according to Mikado Type 4.1, price per item. 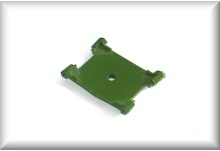 Isolation disk, green, price per piece. 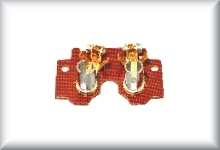 Insulation in housing (center) CCS 800 and 3015,30159, price per set. Connecting strip (contact) and insulation between the pantographs. CCS 800, 3015, price per item. 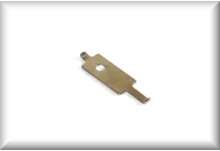 Isolation disk, brown, price per piece. 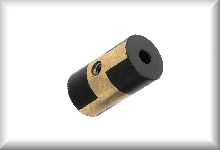 Rivet with ISO disks for mushroom slider and soldering tab (yellow brass), for CCS 800 1. till 4. version, price per piece. 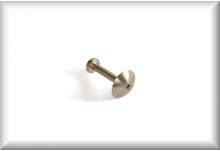 Tubular rivet, nickel-plated brass, overall length 3.5 mm, diameter 1.9 mm, suitable for lamp holders and various pertinax plates, price per item. 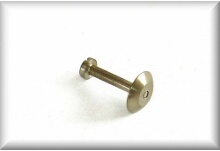 Hollow rivet, nickel-plated brass, overall length 4.5 mm, diameter 1.9 mm, suitable for lamp holders and various Pertinax plates, price per item. 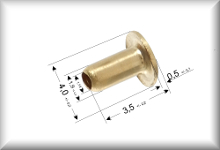 Hollow rivet, brass, overall length 4.5 mm, diameter 1.9 mm, suitable for lamp holders and various Pertinax plates, price per item. Knee-joint bar for the left side, suitable for CCS 800, price per piece. 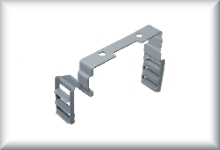 Knee-joint bar for the right side, suitable for CCS 800 und 3015, price per piece. 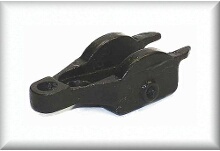 Buffer blank, without Märklin-symbol, black, burnished, varnished for CCS 800 1.-4. version, price per piece. Wide Buffer, price per piece. Lank buffer, price per piece. 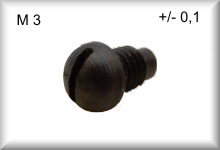 Screw buffer M3, wide version with buffer 00.447.2, repair set 1946, price per piece. 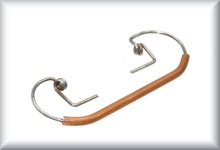 Armature, suitable for CCS 800, DL 800, ST 800, 3015, 3025, 30159, price per piece. 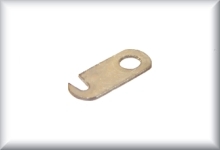 Field magnet, suitable for CCS 800, DL 800, ST 800, 3015, 3025, 30159, price per piece. 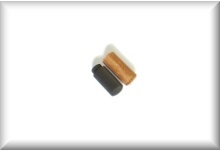 Carbon and brush for engine, suitable for CCS 800, 3015, ST 800, DL 800 and 3025, price per set. Double gear wheel, module 0.4, for engine CCS 800 1.-4. version, price per piece. 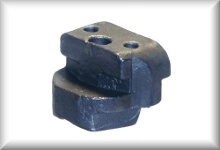 Driving axle, for CCS 800 1.-4. version, price per piece. 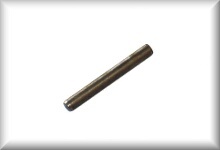 Shaft-drive, without bearing bushes and without cardan, for CCS 800 1.-4. version, price per piece. Intermediate gear, complete axle including crank disks, price per item. 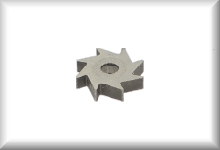 Intermediate gear wheel for drive wheels, module 0.4, number of teeth 18, nickel-plated, price per piece. Staircase for housing black. Price per item. 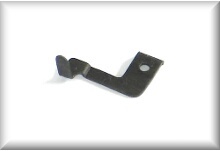 Lamp bracket, for CCS 800 1st to 4th version according Mikado 1947 to 1950, price per item. 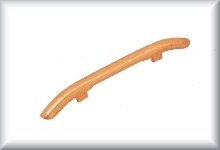 Handle bar, suitable for CS 800, price per piece. 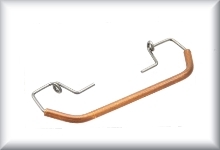 Gallery bar, right and left side, price per pair. 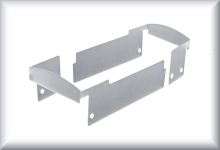 Lamp bracket for 3015 and late version CCS 800.Price per item. 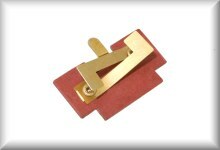 Roof line, red suitable for, CCS 800,3015,30159 (short and long) Price per pair. 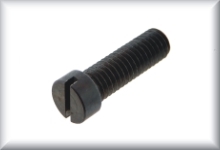 Screw 75301 for fixing the coupling at the car frame, price per piece. 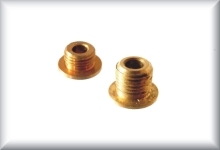 Special slot screws, yellow brass nickel-plated, suitable for fixing the steering of the CCS 800 1. and 2. version, price per piece. 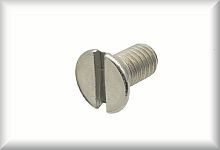 Screw 755030 for fixing the rods at the wheels, price per piece. 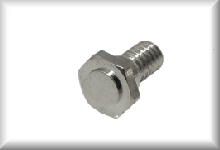 Screw suitable for slider 3000 series. price per item. 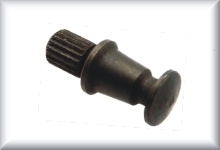 Grub screw (threaded pin) for universal joint CCS 800 and 3015. Price per item. 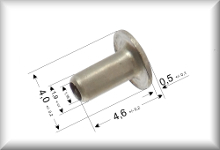 Screw 75012, for fixing the lamp holder, at GS 800 also for roof lamp holder, price per piece. 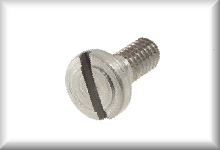 Screw 78512, for fixing the case for RM 800, TM 800, RSM 800, for front coupling of TM 800, for coupling of RS 800 N and RS 790, for center hood of CCS 800, 3015, price per piece. 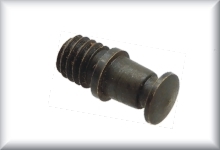 Screw for fixing the case and the flange of rail motorcars, for engine plate of F 800, G 800, for front end of 3015, price per piece. 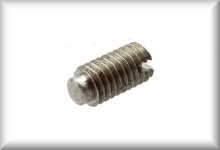 Screw 785030 (75004), for fixing the lamp holder, for F 800, G 800, HR 800 N, RM 800, T 790, T 800, TM 800, TT/TP 800, CCS 800, RE 800, RS 800, RSM 800, also for fixing the coupling ahead and rear, for T 800, HS 800, RS 800, only rear coupling of TM 800, price per piece. 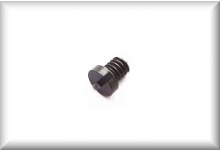 Screws for engine, lens head, suitable only for 1. version of CCS 800, price per piece. 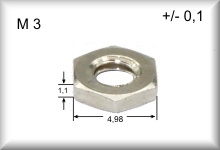 Nut M3 suitable for grub screws CCS 800 and 3015, price per item.